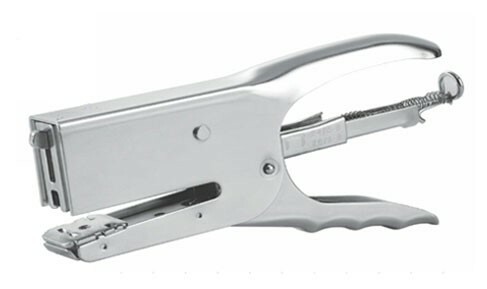 Stapler in chrome plating features durable metal construction for lasting performance. Adjustable anvil for temporary stapling. Movable pusher assembly for rear loading. One strip having No.24/6-24/8,26/6-26/8 can be loaded at once. Indicate maximum insertion paper depth. The base length of depth is 180mm and breadth is 50mm.